What is Core Skills Mastery (CSM)? Who’s Using CSM in Iowa? Marlene Ballou has been using CSM with her 7-12th grade students since fall of 2013. Currently, her students are using it for several different purposes. Several students are completing the course for a math or English credit. The credit they will receive will assist them in meeting their graduation requirements. Other students are working on portions of it in an effort to support their success in career and technical classes. Finally, one student has completed all of her coursework and wanted extended learning opportunities. The CSM course is providing her with challenging learning opportunities that extend beyond the high schools current course offerings. Michelle and Teresa have been using CSM with their 7th and 8th grade English/language arts students since September of 2013. Currently, the school follows a block schedule block schedule. Classes are 66 minutes long. Students spend approximately 15 minutes of every day working on the CSM course. Both teachers like the adaptive nature of the CSM course. You’ve been using twitter for years now (It is hard to believe that it has been around for seven years). Twitter is where you get your updates on world news, inspiration for working out, and even the latest information on Justin Beiber. You have even found some great resources about teaching and learning, but you haven’t quite figured out how to integrate with students in your online or blended course. Here are ten ideas for using Twitter with students. Tweet out reminders to students regarding important days, assignments, or assessments. Ask students to tweet their opinions or thoughts about a focus of classroom discussion using a class hashtag. Use weekly hashtags to collect feedback, questions, or comments from students. Share resources (websites, news articles, blog posts, etc.) with students. Ask students to share important or useful resources they find related to course content. Have students follow people, organizations, or government entities and track what they are doing/saying related to the course content. Communicate with experts. Find authors, scientists, historians, or industry experts on Twitter and connect with them to gain insight or ask for advice/help. Have students build 140-character summaries based on reading assignments. The brevity of the statement will keep them focused. Encourage students to tweet an inspirational quote of the day related to course content. Stimulate conversation by having students coordinate and collaborate via twitter. Learn about how one eighth grade teacher uses twitter in the classroom. Do you want to blend your instruction, but aren’t sure which e-curriculum best fits your needs? Below are ten steps to help find the digital content that best meets you needs. Click here to find out how to preview AEA K-12 Online’s catalog of free e-curriculum. Have you ever asked students to watch a video in your online or blended course and at the end of the day wondered if they gained anything from watching it? Wonder no more!...EduCanon allows you to take a video you create or find on YouTube, Vimeo, TeacherTube, etc. and transform it into an interactive experience. To find out how to add audio to your online or blended course, click here. In this AEA PD Online: Live event, Deb Henkes provides viewers with an overview of an online or blended unit focused on addressing the issue of cyberbullying. She reviews the units learning goals, content, and assessments. 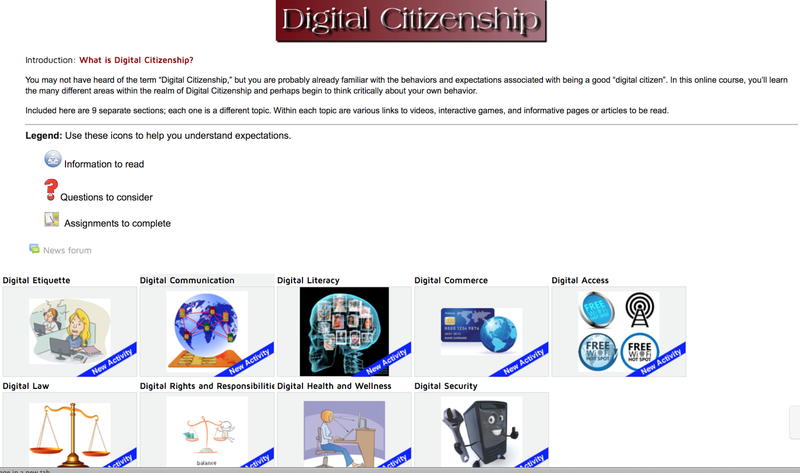 This e-curriculum is free for all Iowa educators to use with students. Information on how to access the cyberbullying unit or any of AEA PD Online’s e-curriculum go here. A special thank you to Deb Henkes for developing and sharing her e-curriculum with the state.